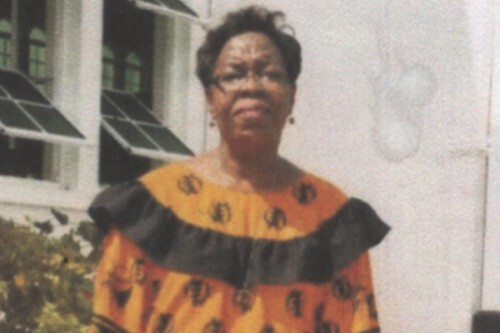 Mrs. Huldah Neal nee Hill, a long-time teacher and former principal of St. Luke Methodist, was laid to rest this afternoon after funeral services at Wesley Methodist Church on Albert Street. She started teaching at a very early age in Dangriga, before moving to Belize City, and gaining employment at Wesley Middle School. She was later transferred to St. Luke Methodist Primary School in 1979, before being promoted to vice-principal at Wesley Upper School in 1982. Her tenure there lasted 14 years. Huldah was constantly seeking to upgrade herself, twice doing studies at the then Teacher’s College, and later doing a leadership course in administration at the University of the West Indies. In 1996, she fulfilled her life’s mission, becoming principal at St. Luke Primary. But her administration there would only last six years, as in 2002 she had to retire early due to illness, ending a 36-year career as a teacher. Huldah Neal is survived by one child, a daughter, Bree Neal; her mother, Eleanor Martinez; two sisters, Therese Lopez and Helen Love; one brother, Evon Hill; two grandchildren, Adaiah Moreira and Victor Galdamez, Jr.; and a host of nieces, nephews, relatives and friends. Reverends Roosevelt Papouloute, C. David Goff and Elswith Clare officiated. Former teachers Carolyn Westby and Darrell Humes gave remembrances. Mrs. Huldah Neal was 59.